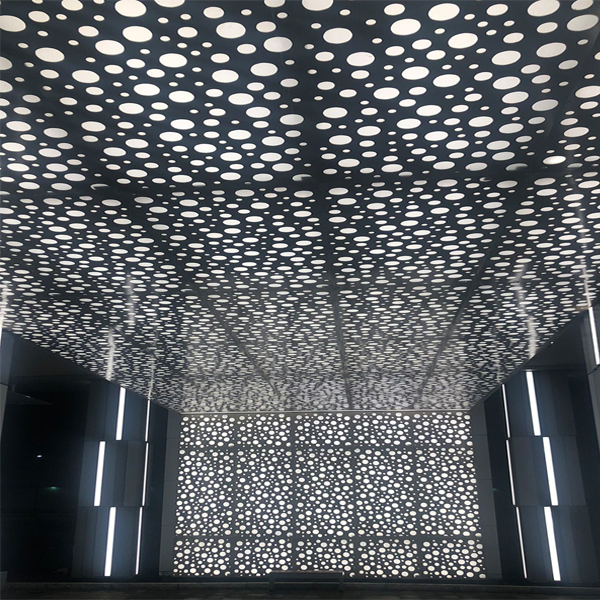 Móz Laser Cut Metals are a versatile collection suitable for a variety of applications – from an interior column, ceiling, partition, or feature wall to a stunning exterior facade. 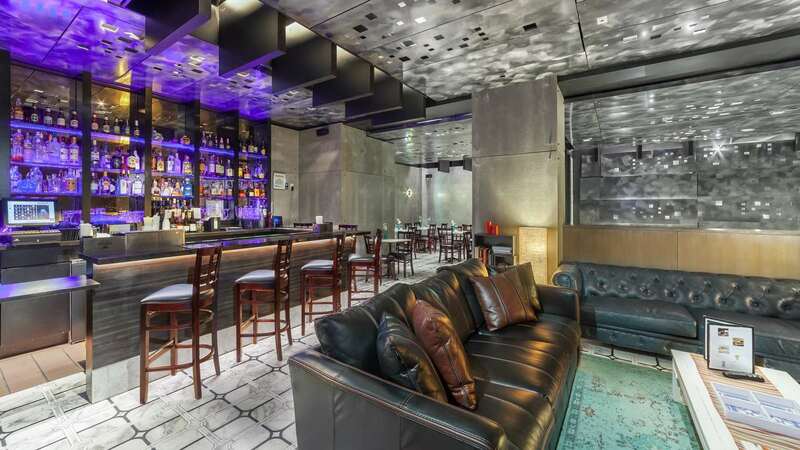 Collaborate with our team to create custom metal applications for retail, corporate, healthcare, residential, or hospitality projects. 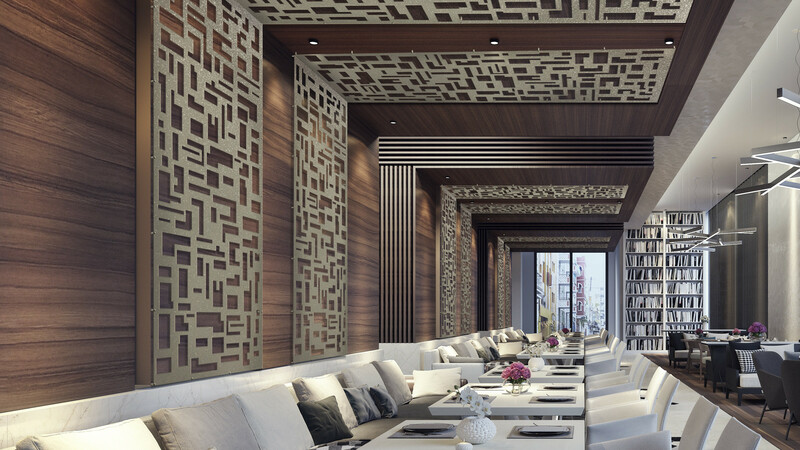 Create stunning feature columns like no other. 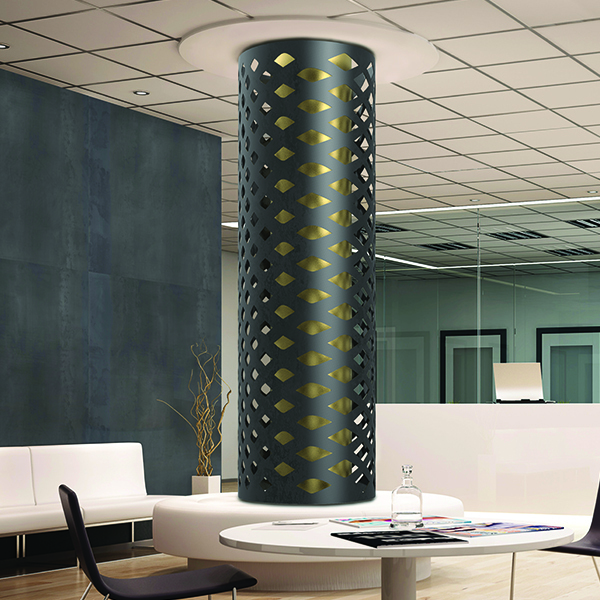 Double layered columns can create mesmerizing three-dimensional effects, or incorporate acrylic materials for a stunning glow. 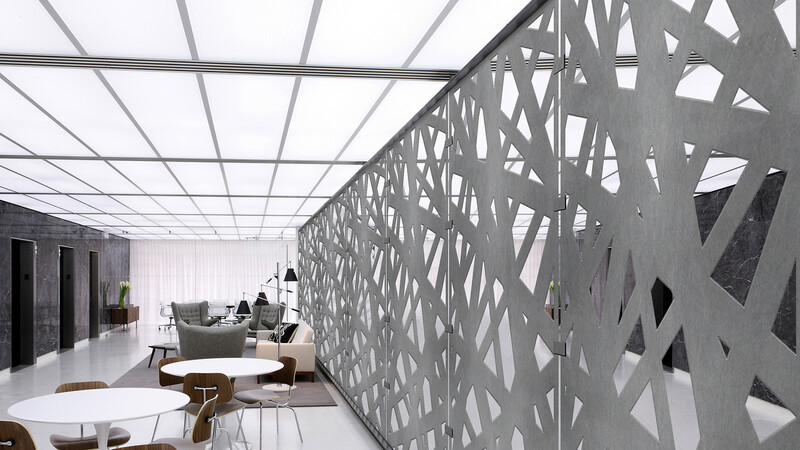 Whether you are looking for radical transformation or the perfect finishing touches, Móz Laser Cut Metal will truly elevate any space. Choose from one of our 15 standard patterns, or create a custom variation for a more unique look. 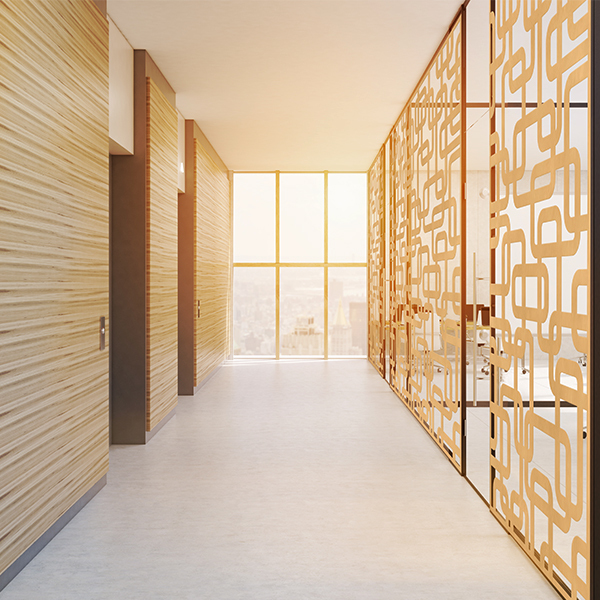 Móz Laser Cut Metals strike the perfect balance of texture and transparency, providing a unique design solution for walls. Create a layered look or backlighting for a more dramatic effect. 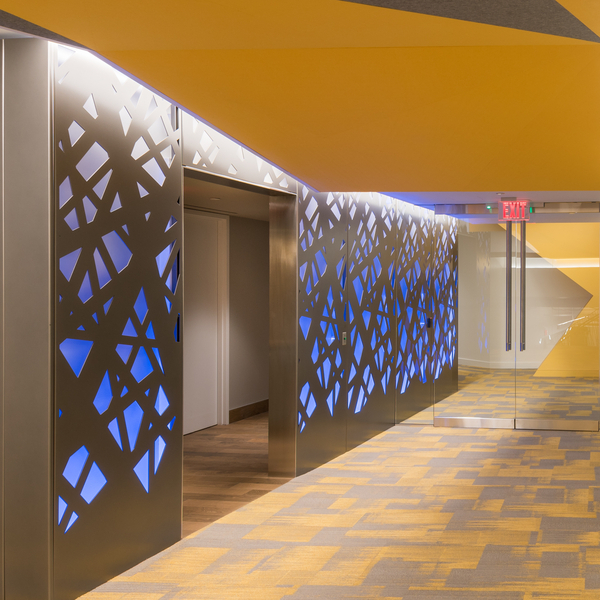 Elegantly divide a space with Laser Cut Metal in a reflective natural metal or a bold pattern which is both durable and cost-effective. 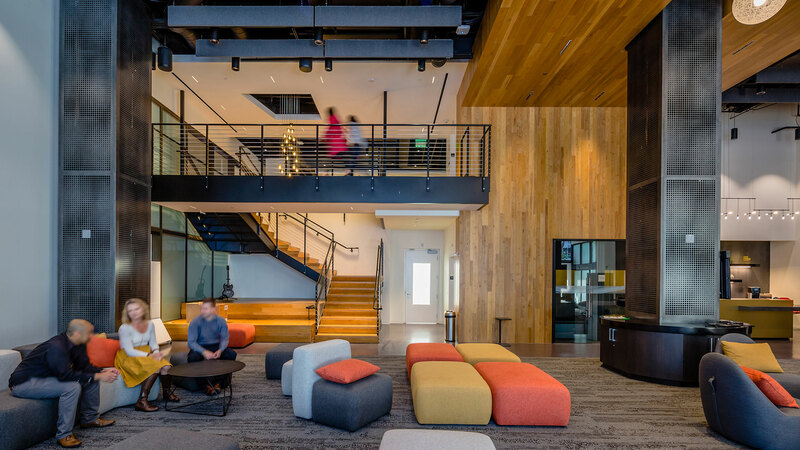 Play with open area to control the amount of light and flow through the space. 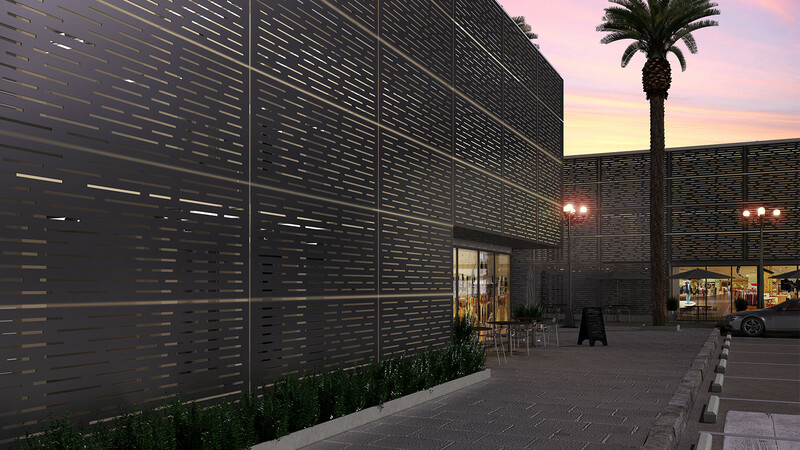 Móz Laser Cut metals strike the perfect balance of texture and transparency to create a stunning exterior feature or facade. Now available in Ultra Durable Exterior finishes offering a 10 to 20 year warranty. 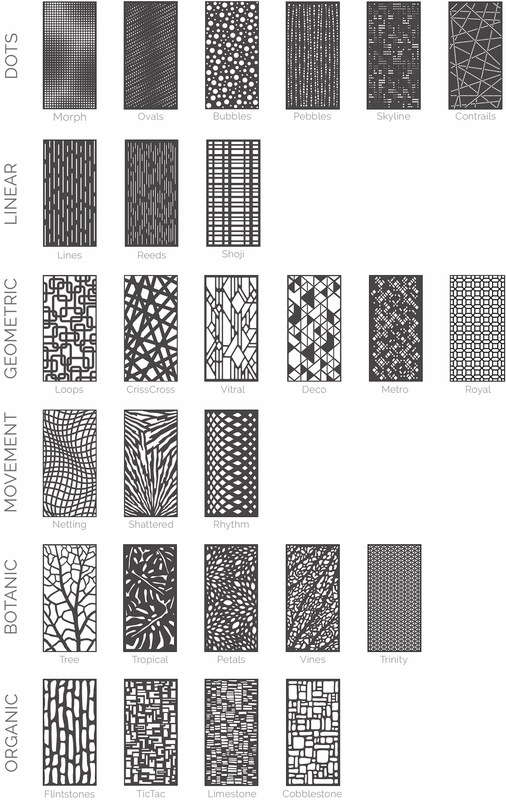 These patterns are laser cut out of solid-core 3/16” aluminum 5052 material in 4’ x 8’ standard sheet sizes. Laser Cut Metals come standard in one of 15 carefully selected powder coat finishes and suitable for interior and exterior applications. Ask about our Ultra Durable Exterior finishes offering a 10 to 20 year warranty. Moz signature Collections such as Gradients and Patina’s can also be applied for a truly unique look. 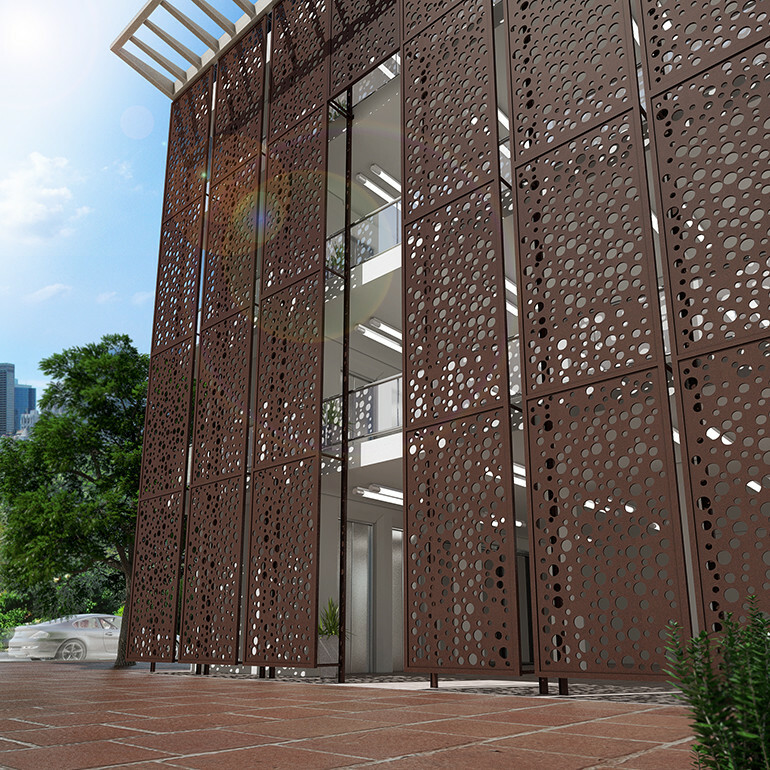 providing an opportunity to integrate dimensional metal materials into any project.